If you've been contemplating that bathroom reno for a while now, it's time to take the next step. 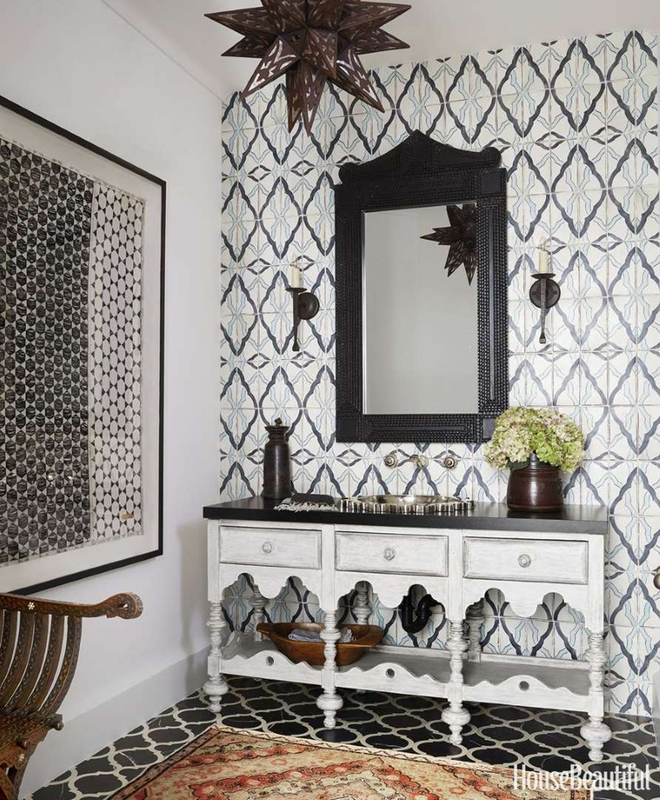 The new year is bringing with it a a bunch of new design trends, and some things that have been around for a decade (hello, wall-to-wall mirrors) are being replaced with new, fresh, and fun ideas. Interior designer and Creative Director at Emily Henderson Designs, Brady Tolbert. You know that catchall niche you use for literally every product you need in the shower? It's opening up, and making room for the ledge. "It’s a cleaner look, and one that can be used in almost every bathroom, no matter the style," Tolbert says. Industrial design fans, this ones for you. "Exposed hardware and piping is coming into the bathroom in a very beautiful way," Tolbert says. "We used to see it a lot in older and antique homes, but it has come back in a more clean lined and sleek way." We know-concrete and plaster are notorious for being cold and stark, but forget everything you think you know about them, because in 2019, you'll see them looking way more refined. 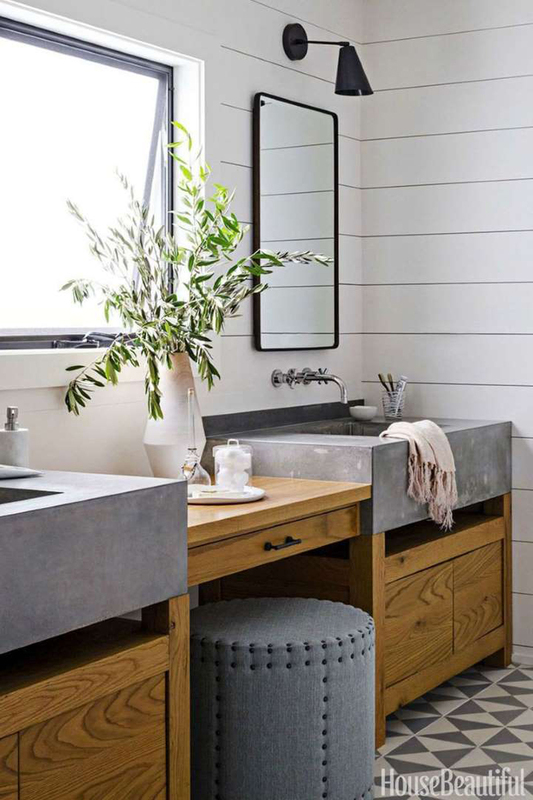 "Concrete and plaster are seeping into bathroom design, bringing the once 'cold' material into a new form that feels sleek and warm," Tolbert says. "We’ve seen subway tile for years, but the sizes and shapes are changing, and it is now on every surface of the bathroom," Tolbert says. "Using a simple tile in a big way gives a lot of impact, without having to break the bank." 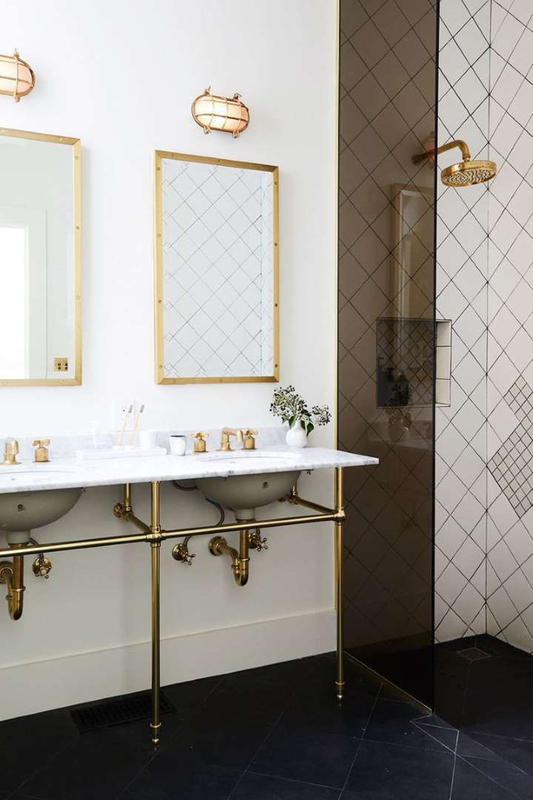 Subway tile all day, every day, and we're totally here for it. 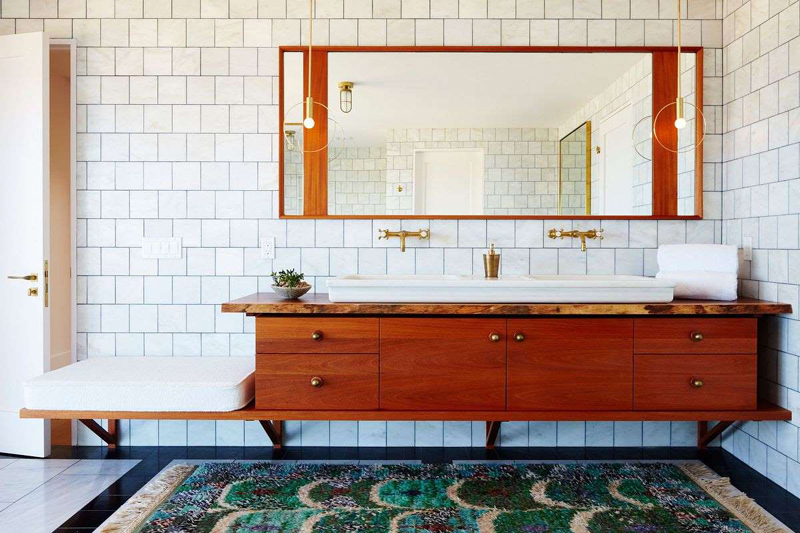 You could stick with your basic wall-to-wall mirror, but 2019 is making a case for choosing something a little more interesting. 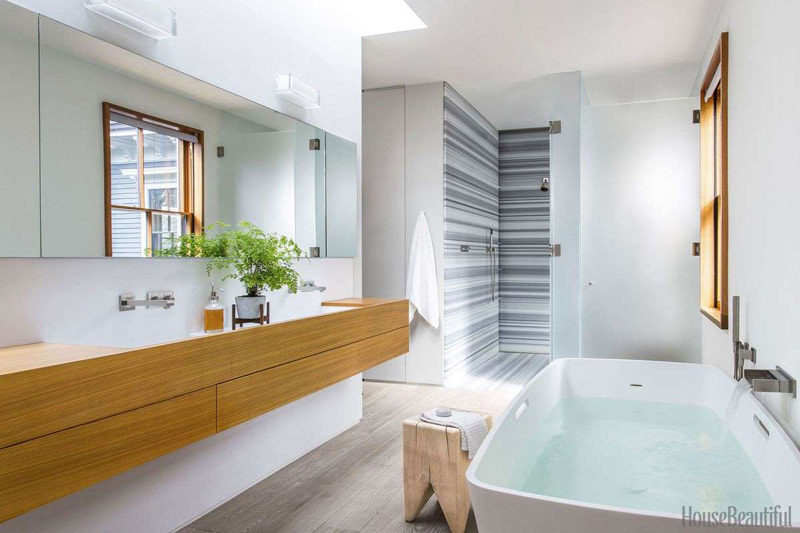 "It might not be for everyone or every bathroom, but an impactful mirror can make a statement and create something that feels personal and unique in your home," Tolbert says.